Amid hopes for comprehensive peace deal on Korean Peninsula, Pyongyang begins purge of its own vitriolic anti-American propaganda. Just weeks after the historic meeting between President Donald Trump and Kim Jong Un in a Singapore hotel, it appears that the Korean war is finally coming to a close. At least on paper, that is. After years of promoting hatred of the West generally and the United States specifically, Pyongyang is purging its own bellicose propaganda, a prominent feature in the hermit regime for decades. In an isolated country where the central government tightly controls media outlets and public expressions of speech, the sudden change of course is dramatic. 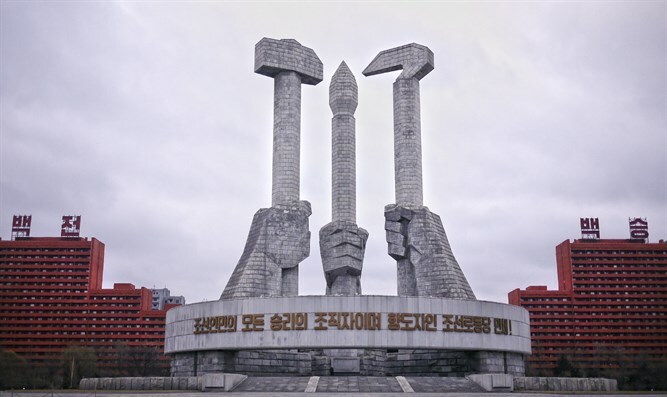 According to a report by Reuters, within a matter of weeks, the official message broadcast by the North Korean government to its 25 million citizens has shifted from one of imminent war with the “rotten, diseased, pirate nation” of the United States to a message of peace and unification with the southern half of the peninsula. Local observers say the entire state-run media industry – from television to street posters – has shifted for the first time in decades. News coverage in government-controlled television and newspapers has dropped the reflexive anti-American bent, focusing instead on the impending wave of prosperity Pyongyang promises will accompany peace talks. While many foreign policy experts remained skeptical of Pyongyang’s intentions, President Trump hailed the historic meeting with Kim and the signing of an agreement as a turning point in US-Korean relations, saying the “most dangerous problem” in the region was “largely solved”.